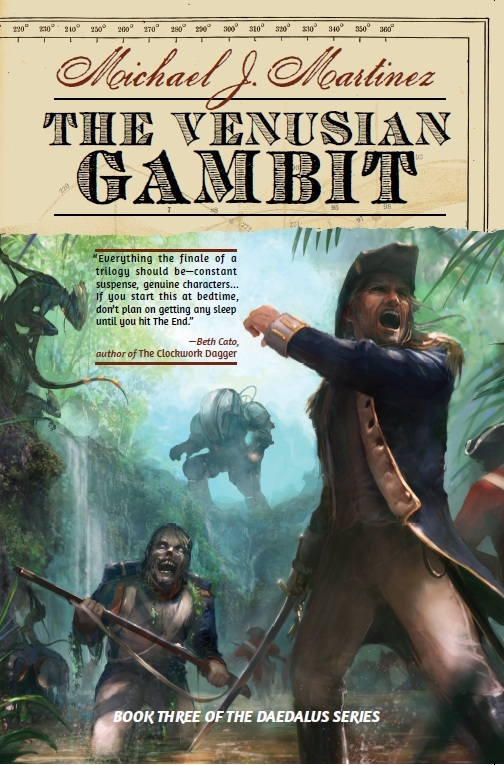 Fantasy Faction reviews The Venusian Gambit; audiobook available now! You can read the whole thing here. My favorite quote, though, is this: “When a French zombie army marching across the English Channel to conquer our green and pleasant land isn’t the craziest event in a book, you know you’re in for a treat.” I’m quite grateful to Dan for the review, and for all the support he’s shown for this series. Rule, Britannia! Also today, the Audible audiobook of The Venusian Gambit is now available for download! What’s more, the Audible page has a sample of Kristin Kalbli’s fine narration, so head on over and check it out. Hey, UK reader here. Found your audiobooks via this review, 70% into Daedalus and liking it a lot; so thanks indeed Dan!